Thank you for visiting us online at www.sunmaid.com. At Sun-Maid Growers of California (“Sun-Maid”), we strive to do everything we can to respect the trust customers have in our brand and our commitment to your privacy is no exception. We are committed to protecting and safeguarding consumer privacy on the Internet, especially for children. Thanks again for visiting our web site and for placing your trust in Sun-Maid. Sun-Maid only gathers personal information, such as, first and last names, addresses and email addresses, when voluntarily submitted by you, for you to send questions or comments to Sun-Maid, for us to get your feedback on our web-site and our products, or for us to enter you in one of our contests or sweepstakes. 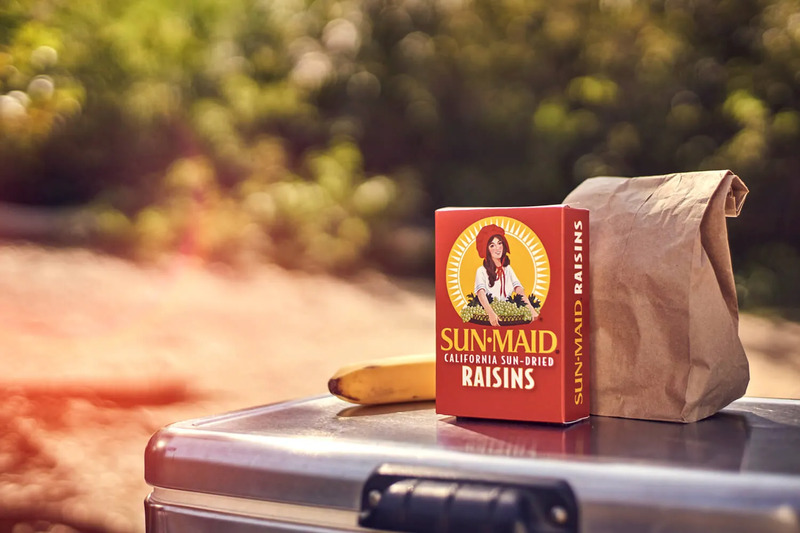 Sun-Maid may share personal information within the Sun-Maid organization, which may include our subsidiaries, our licensees, our franchisees, and our affiliates. Of course, any use of this information within the Sun-Maid organization will comply with this policy. Occasionally, with your permission, we will send marketing information to you, such as discount coupons, information about new product offerings, etc. If you do not elect to receive such materials, we will not send them to you.Companies may be engaged by Sun-Maid to perform a variety of functions, such as, fulfilling orders, assisting with promotions, supplying online services, providing technical services for our web sites, etc. These companies may have access to personal information if needed to perform such functions. However, these companies may only use such personal information for the purpose of performing that function and may not use it for any other purpose. Sun-Maid does not sell, transfer or disclose personal information to third parties outside the Sun-Maid organization. However, with your permission, we will, on occasion send marketing information on behalf of one of our business partners about products or services they provide that may be of interest to you. You may be asked if you wish to receive marketing materials from Sun-Maid business partners. If you elect to receive such materials, Sun-Maid will not share your personal information with such partners but rather will send a mailing or email on behalf of the partners. Sun-Maid reserves the right to use or disclose any information as needed to satisfy any law, regulation or legal request, to protect the integrity of the site, to fulfill your requests, or to cooperate in any law enforcement investigation or an investigation on a matter of public safety. You are in control of any personal information you provide to us at www.sunmaid.com. If at any time, you would like to correct the personal information we have collected from you at www.sunmaid.com or if you would like to change the preferences for contacts from us or on behalf of our business partners that you selected at www.sunmaid.com, you can let us know by contacting us at the email or postal address listed below.In order to review any personal information we have about you or to ask us to delete that information or to stop further use of the information, please contact us at privacy@sunmaid.com. In order to review any personal information we have about your child or to ask us to delete that information or to stop further use of the information, please contact us at privacy@sunmaid.com. We may offer links to sites that are not operated by Sun-Maid. If you visit one of these linked sites, you should review their privacy and other policies. We are not responsible for the policies and practices of other companies, and any information you submit to those companies is subject to their privacy policies.